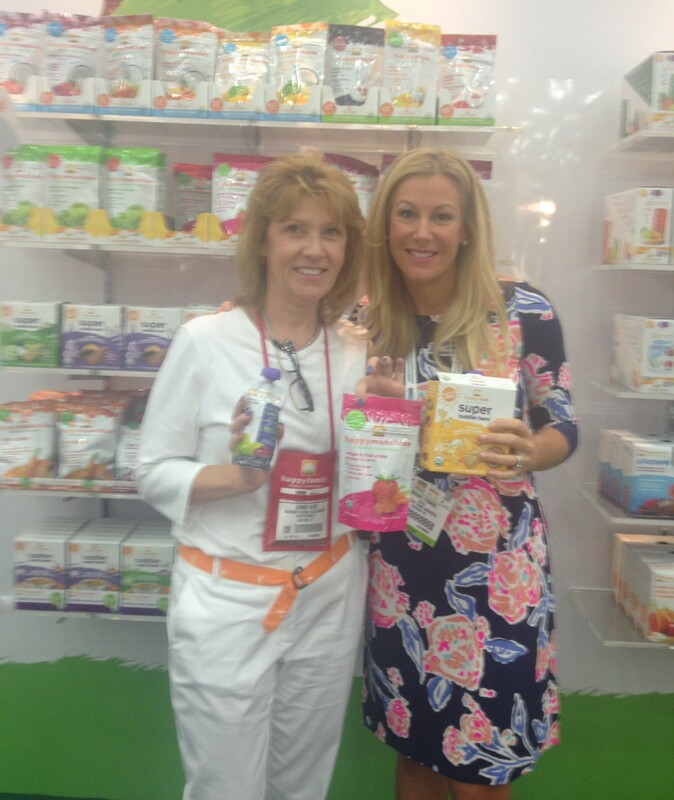 Moms everywhere can get excited about Happy Family Organic Superfoods for children! I met with Sunny Hunt, SE Regional Sales Manager at Happy Family Organic Superfoods when I went to the Natural Products Expo East in September 2013. I asked Sunny detailed questions about their products, and I also found out their story. Happy Family was created by a concerned mother, Shazi Visram, who watched her friend struggle to find healthy foods for her baby. Shazi wanted to make baby food “the way moms would”. So, she created Happy Baby products, organic, Non-GMO and minimally processed frozen baby foods. Shazi’s Happy Baby business grew, and Happy Family began offering organic, Non-GMO foods for toddlers, kids and grown ups. There are so many healthy food options that moms can feel good about in the Happy Family line. Happy Family is a mission-based company that was founded by moms, and with every purchase, they give back to Project Peanut Butter, UNICEF, and Feeding America just to name a few causes. Their products are “school-friendly” so there are no worries of peanut allergies. They also use BPA free packaging. I love their Happy Moms concept – moms work as brand ambassadors around the country by sharing nutritional information and coupons with other parents. You can find Happy Family products in Harris Teeter, Publix, Food Lion, and most grocery stores.